A new study from Platronics has revealed that video conferencing has grown significantly over the past two years with 84 per cent of companies now using more than one cloud-based video conferencing application. The company's recently released study, Streamlined Video Conferencing Strategy Drives Business Results, found that as video conferencing grows in usage, so to has the number of solutions and overall complexity for both end users and IT teams. Of those surveyed, 74 per cent say video conference calls have increased over the past two years with 84 per cent reporting that they use two or more cloud-based video conference solutions. 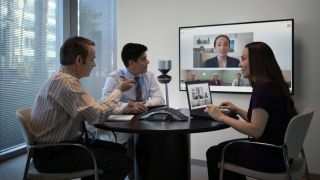 Additionally 78 per cent said that they now have two or more video conference endpoints in their conference rooms. Platronics study shows that the majority of companies are now using multiple vendors for both endpoints and video cloud applications which has led to an increase in complexity. Shockingly, 96 per cent of respondents admitted that they already face challenges managing their video conferencing solutions. IT professionals are left to bare the burden as they face the increased costs and challenges of managing multiple cloud-based video conferencing systems. These challenges include difficulty in connecting conference rooms to calls, delayed video calls, poor call quality and inconsistent user experiences. To help combat these challenges, 77 per cent of IT pros want a consistent user interface and experience across video conference systems. The study also found that flexibility was another demand from the IT department. With 68 per cent of companies seeing an increase in the number of video conferencing applications used in their infrastructure, 67 per cent of IT pros want increased flexibility from all the solutions for both employees and partners.